Hydrating, illuminating shampoo for lightened or highlighted hair to gently cleanse, soothe and hydrate hair from root to tip. Infused with hyaluronic acid, hair is left feeling light and looking luminous. 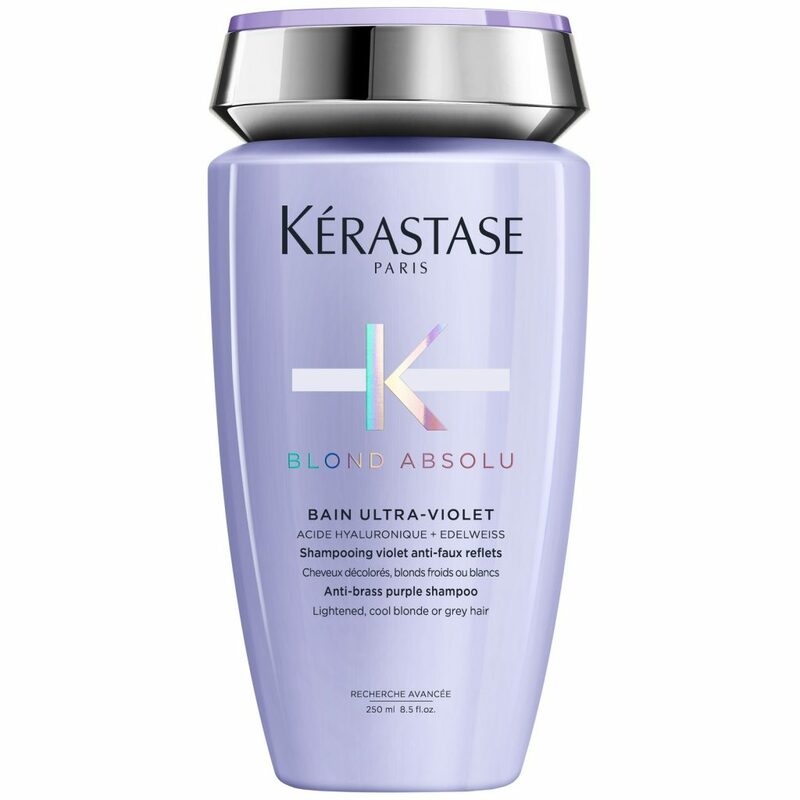 Specifically designed for for lightened or highlighted hair, this iridescent purple shampoo neutralises brassiness and prevents unwanted yellow tones in blonde or grey hair leaving a nourished cool blonde. Enriched with Hyaluronic acid and Edelweiss flower to nourish hair. 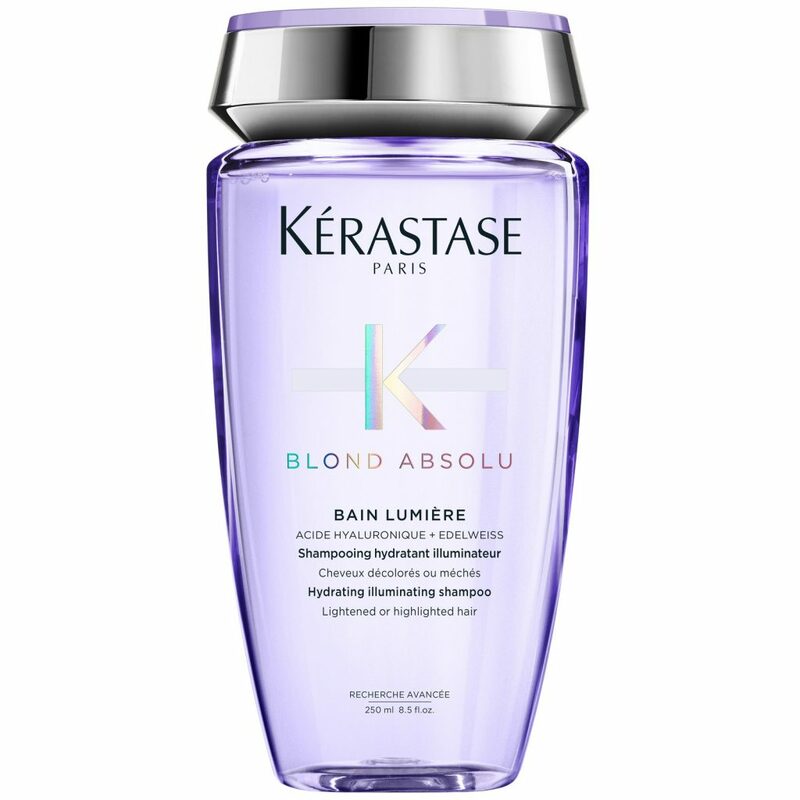 This opalescent milky gel is a super shot of care for lightened hair! With the restorative performance of a masque and the lightweight finish of a conditioner, it intensively nourishes, smooths, strengthens and softens hair. 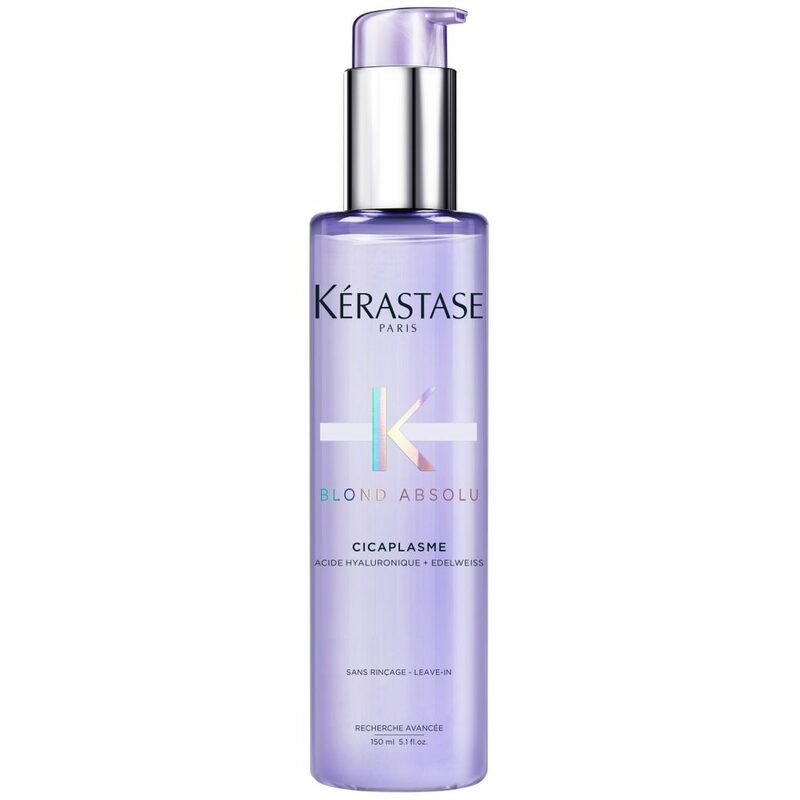 Suitable for all lightened blonde tones, Cicaflash restores the hair fibre to prevent breakage. 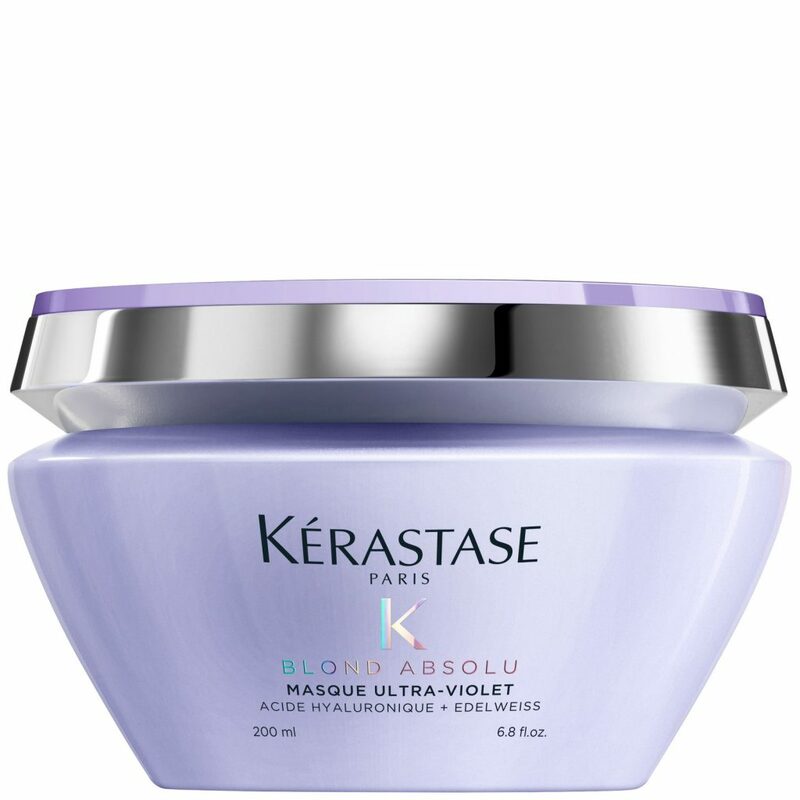 This rich purple mask removes unwanted yellow undertones and brassiness, while deeply hydrating and restoring hair strands. Non-staining, use this hair maskonce a week, or as often as needed to keep your blonde hair luminous and cool and protected against oxidation. Enriched with Hyaluronic acid and Edelweiss flower, Cicaplasme cream helps seal split ends and smoothe hair for uniform touch and long-lasting frizz control. With UV filters to protect against damage, it also provides heat protection for up to 230°C from heat styling tools. 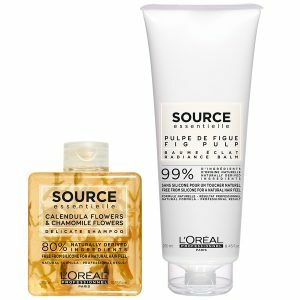 Enter the world of natural haircare with L’Oreal Professionnel Source Essentielle, a new generation of professional haircare. With a minimum of 80% organic ingredients, L’OREAL is our new go-to when it comes to plant-based locks! After all, you’re far too ‘worth it’ not to know what you’re putting on your hair. These beautifully crafted products are practically designed with eco-friendly values. The packaging is fully recyclable, and each shampoo bottle is also stack-able to add a modern, trendy feel to any bathroom. And, as a reminder of just how natural each bottle is, each bottle is infused with natural leaves and petals, too. 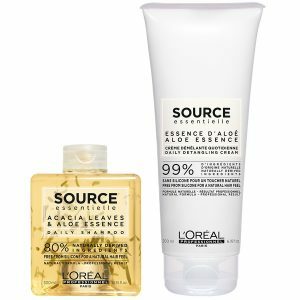 Perfect for those with normal to dry hair, this duo contains the Source Essentielle Daily Shampoo and Source Essentielle Nourishing Hair Balm, and is almost completely made from natural ingredients. With 96% naturally derived ingredients, nourishing shampoo is made with jasmine flowers and sesame oil gently cleanses and purifies the scalp, eliminate impurities and excess oil, and add nutrition and shine to your hair’s texture. Made almost entirely from natural ingredients (99%) Source Essentielle Nourishing Hair Balm leaves dry hair feeling nourished, soft and supple. Made with sesame oil, split ends will be smoothed and hair will feel silkier, shinier and nourished from root to tip. 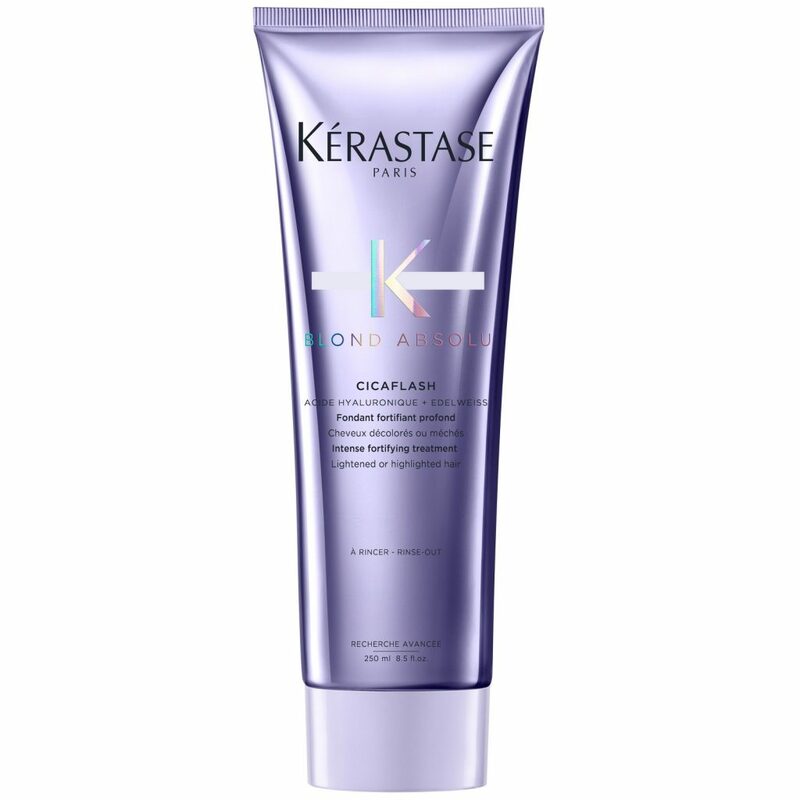 This daily hair treatment nourishes dry hair, to provide nutrition and shine. 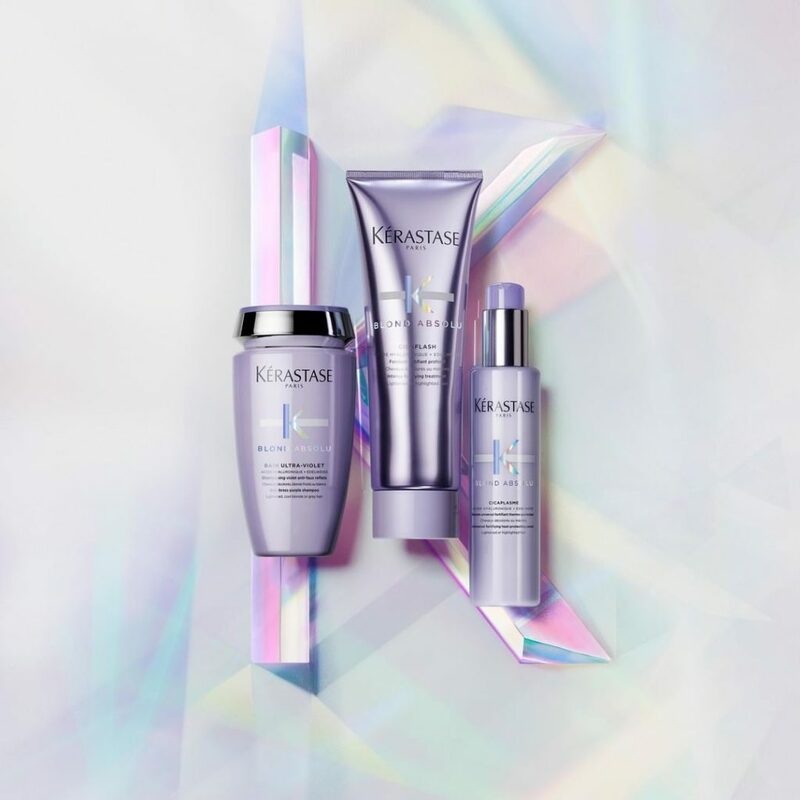 Perfect for those looking to add some shine to dull hair, or protect their coloured hair from fading , this duo contains the Source Essentielle Delicate Shampoo and Source Essentielle Radiance Hair Balm. With 80% naturally derived ingredients, the delicate shampoo is enriched with calendula and chamomile flowers to remove impurities and oils, leaving your hair feeling soft and supple. Silicone free. With 80% naturally derived ingredients, daily shampoo gently rinses and cleanses the scalp to eliminate impurities and excess oil. 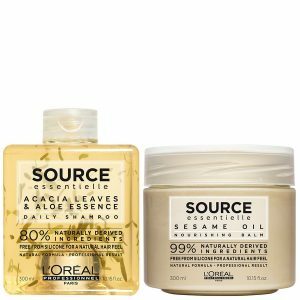 With organic acacia leaves and aloe essence, it is a perfect everyday shampoo to improve your hair with suppleness gloss and strength – without weighing hair down. Derived from 99% natural ingredients, Source Essentielle Daily Detangling Hair Cream helps you to regain manageability of tangled hair, to minimise damage, split ends and breakage. This lightweight hair cream will help to detangle fine hair prone to knots, enhance shine and leave hair supple and full of life. Duos are available in a number of combinations to suit all hair types. 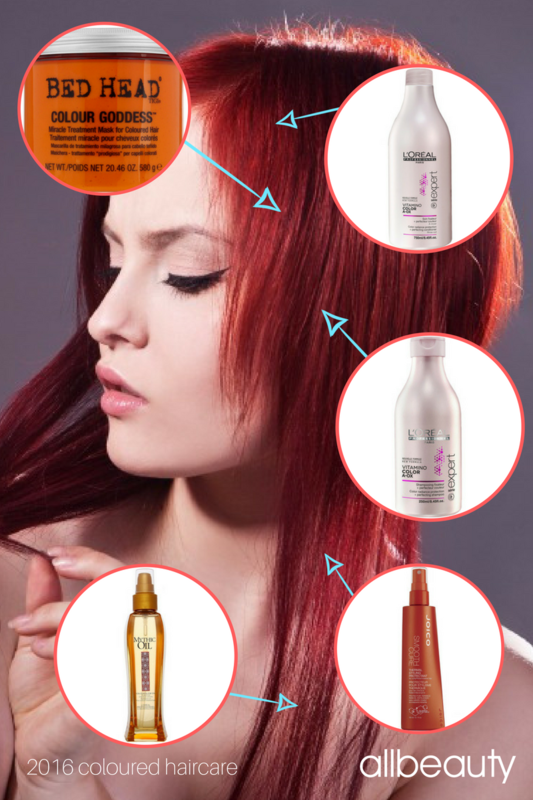 Coloured hair needs special care to keep it looking great. We reveal the coloured hair hero products of 2016. These coloured hair hero products are the ones that women turned to again and again. For uncoloured/normal hair, please see our separate list right here. Which coloured haircare heroes surprised you and which are your must-haves? Any you’re keen to try? Comment below and tell us. Visit allbeauty to shop any of the products shown.